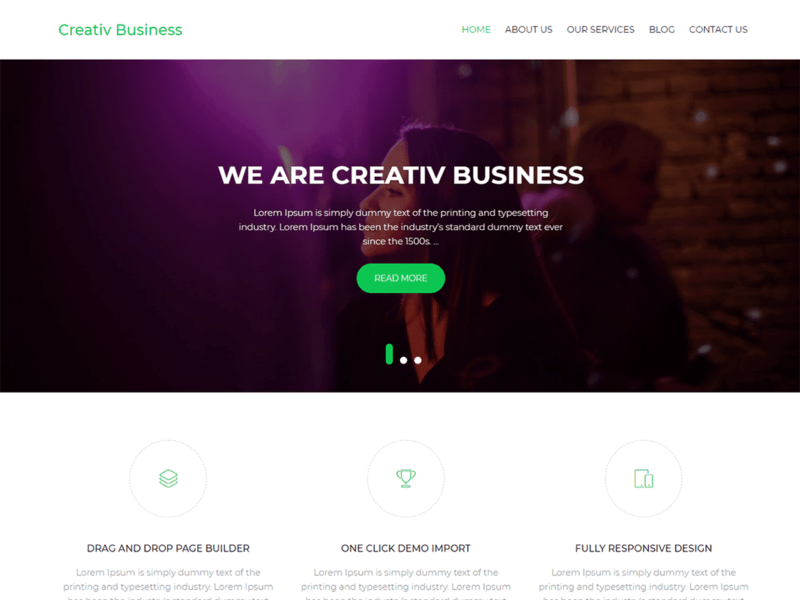 Creativ Business is a responsive multi-purpose WordPress theme. It is a flexible theme suitable for agency, blog, business or corporate. This theme has a pre-built demo which can be imported in less than a minute with the help of one click demo importer plugin. This theme is powered with drag and drop page builder, SiteOrigin Page Builder, it is easy and straightforward for customization.